We are thrilled to welcome the lovely Suzie Lennox who has spent her time researching the dark tales of Britain’s resurrection men for over ten years, after becoming interested in bodysnatching whilst studying History at University. 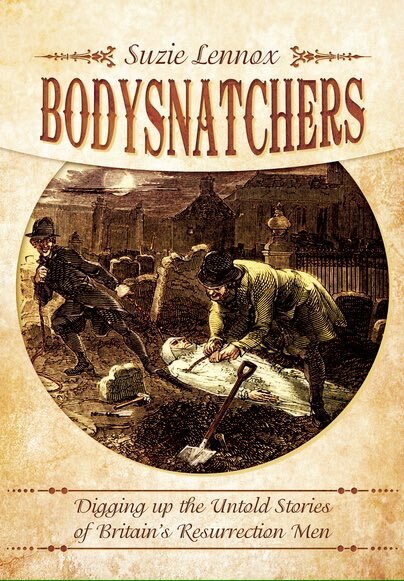 Suzie has recently published a book entitled Bodysnatchers: Digging up the untold stories of Britain’s Resurrection Men which makes fascinating, if somewhat macabre reading – did you know for instance that there was a ‘season‘ for bodysnatching?’ to find out more you’ll have to read her book. 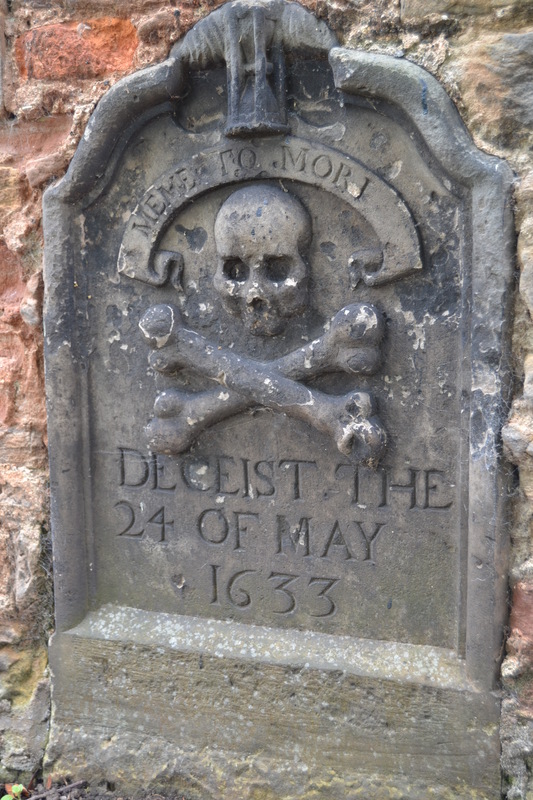 Travel around England and Scotland and you’ll no doubt have passed some churchyard that’s got a bodysnatching story to tell. You may even have sped your way past a watch-house in a roadside graveyard without giving it a second thought or have been equally as curious about these strange structures built along the edges of churchyard walls. Bodysnatching was a very real thing in Georgian Britain. The stealing of cadavers from graveyards in order to supply the anatomy schools of England and Scotland was more common than one might at first believe. Graveyards were targeted either by opportunists or after receiving word that a burial had recently taken place. Parishes were beyond despair, parishioners fearing they would no longer be safe once they’d left this mortal coil. There were numerous different preventions that were adopted to try to stop the bodysnatchers in their path. Perhaps the most common of these was the watchtower or watch-house; simple structures built to accommodate two or three men employed to keep watch over the recently buried, until their bodies were no longer fresh enough for the surgeons. Unusual examples of these can be found at Eyemouth in Northumberland and Prestonpans in East Lothian, although the majority were plain, simple affairs, and nothing gets plainer like the watch-house at Chirnside, Berwickshire. There are also those of extreme proportions. Falling more into the watch-tower category, the structure at Pebbles, Mid Lothian was a former steeple, adapted to accommodate ‘the watch’ on those long winter nights. At the opposite end of the scale is the wee watch-tower that can be found at Eckford in the Borders, you’ve probably whizzed passed it if you’ve driven on the A698. The alternative to the watch-house was the mortsafe, adopted by parishes that perhaps did not have enough money to build something permanent. The local blacksmith would be asked to fashion an iron cage that could be lowered into place over the coffin and remain ‘in situ’ until the next future inhabitant required it. Mortsafes are found in abundance in Scotland with a scattering in England. 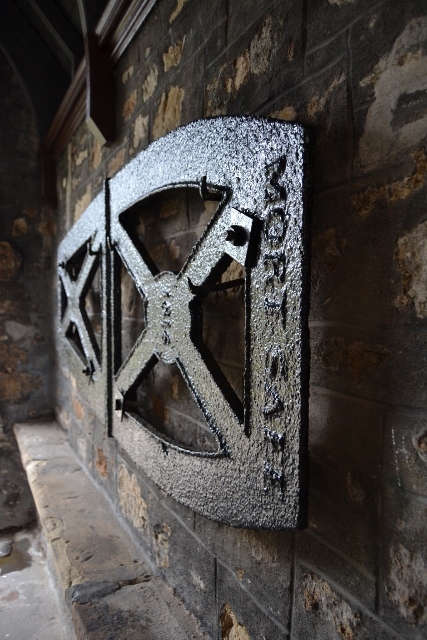 Many are familiar with the double mortsafes found in Greyfriars Kirkyard, Edinburgh but what of the unusual example at Luss in Argyle and Bute or the suspiciously delicate example at Holystone in Northumberland. 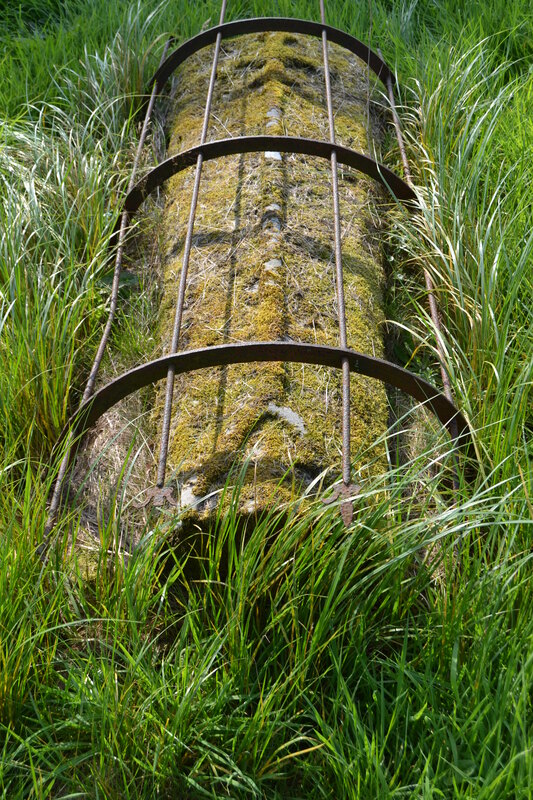 A mortsafe found in 1915 in Aberlour, Speyside was discovered with its coffin still locked inside it. All well and good, but what was more puzzling was that when the sealed coffin was opened, it was found minus its occupant. Perhaps the mortsafe wasn’t the best option to guard against the resurrectionists after all. There were many other forms of deterrent; coffin collars, cemetery guns and the iron coffin to name a few. Simple techniques were also adopted by poorer members of the parish; mixing straw or stones in with the soil when backfilling a grave can be just as effective against a midnight raid. The macabre practise of bodysnatching was addressed in 1832 when the shocking case of Bishop, Williams and May was discovered in London. The public had had enough; the preventative measures put in place, no longer sufficient against these depraved members of society. The Anatomy Act was finally passed 1 August 1832, pushing the onus of providing fresh cadavers for the medical profession squarely onto the shoulders of the poor. Unclaimed souls that had died in the parish workhouse, now destined for the dissecting table of the local anatomy school. Newspaper clippings and archival evidence continually adds to a growing database which currently lists over two hundred individual resurrection men – please feel free to contact Suzie if you find any during your research. For those interest in the darker side of history you can follow Suzie’s Twitter account or read her blog Britain’s Forgotten Bodysnatchers. Feature image – Mortsafe, Chirnside. Bloody Hell, I just bought another book! I have read of this and no one seemed safe. What a scary thought. Great post.